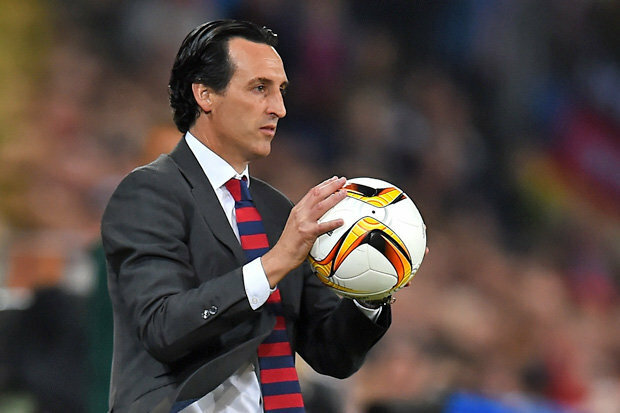 Arsenal are on the verge of a new era as the Spanish manager Unai Emery is taking some radical steps which may bring revolution. The summer window has been terrific for the Gunners as they have succeeded to sign some world-class alternatives. It was a poor finish last time in the Premier League and the club of ancient heritage went trophyless. Arsene Wenger had to go and this may give rise to the new high time for the Gunners. This is why they are now looking at Yann Sommer as an additional keeper. Arsenal signed Aubameyang and Mkhitaryan last time and now they are strengthening the defence part. Papastathopoulos, Lichtsteiner and Bernd Leno, Arsenal is looking quite brilliant. Though the North London club haven’t stopped yet. According to the rumours, Arsenal is approaching for another international goalkeeper. It is Sommer after whom the Gunners are going these days, though he has attracted much admiration after his World Cup performance. The 29-year-old Switzerland international plays for Borussia Monchengladbach and according to the sources, he is also being scouted by the Catalan giants, Barcelona. The La Liga champions may bring in the Swiss keeper in place of the Dutch one, Jasper Cillessen. Cillessen was being rumoured to leave Spain due to not gaining much playing times. Cillessen only featured in Copa Del Rey last time and he delivered his best as Barcelona finished as the champions. On the other hand, Sommer was the No.1 choice for Switzerland at the World Cup this summer and played along with Granit Xhaka and new Arsenal signing Stephan Lichtsteiner. It is four years already with Monchengladbach having made the move to Germany from FC Basel in 2014. Though a move to Arsenal would obviously be a matter of surprise as the Gunners have already three keepers in the squad. The arrival of Sommer will definitely endanger the staying of Petr Cech and David Ospina both. Arsenal is also interested on Andre Gomes who is currently now at Camp Nou. The Portugal international wasn’t being featured in the World Cup squad and he also didn’t enjoy a good time at Spain last season. Though it was a big money move from Valencia back in two years ago, he never succeeded to prove his worth in the Camp Nou. He is also been ruled out from the pre-season squad for the trip to the United States, so it is almost clear that the midfielder is going somewhere else this summer. Gomes has some serious choices as Tottenham Hotspur, Serie A giants Juventus as well as Chelsea are in the list of interests. He is also being linked in a potential swap deal involving France World Cup winner N’Golo Kante. Though the reports suggest that his heart is set on a move to the Emirates. It’s understandable that Arsenal won’t be able to match the €30m (£26m) asking price Barcelona have set for the Portuguese, though , as well as Chelsea, compromise could be reached in terms of a season-long loan deal with an obligation to buy next summer. Lets see what lies in future.